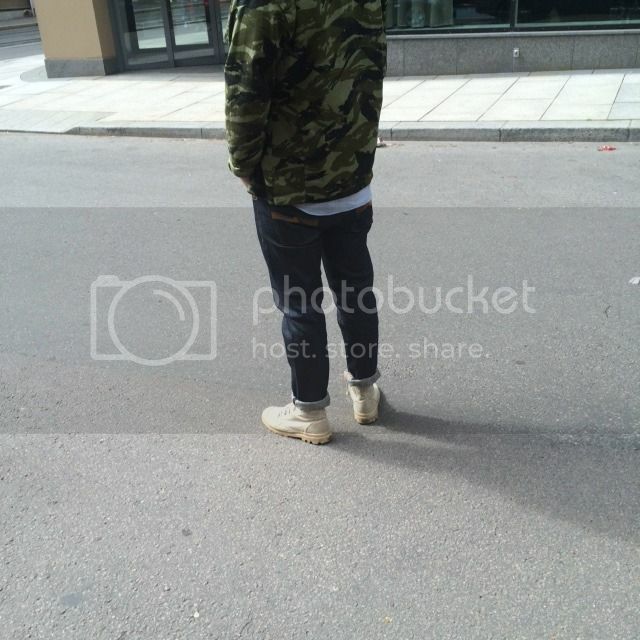 I`m Diderik from Oslo, Norway. 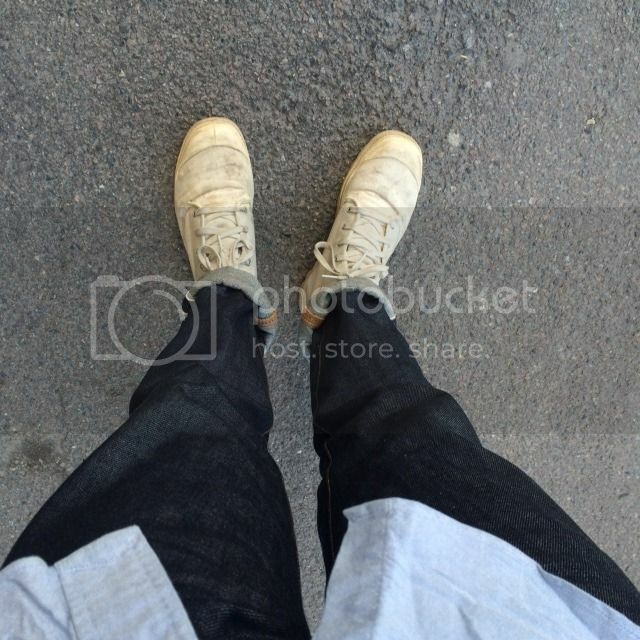 I`m going to wear a pair of Nudie jeans Steady Eddie 18 oz Kaihara selvage. It is nr. 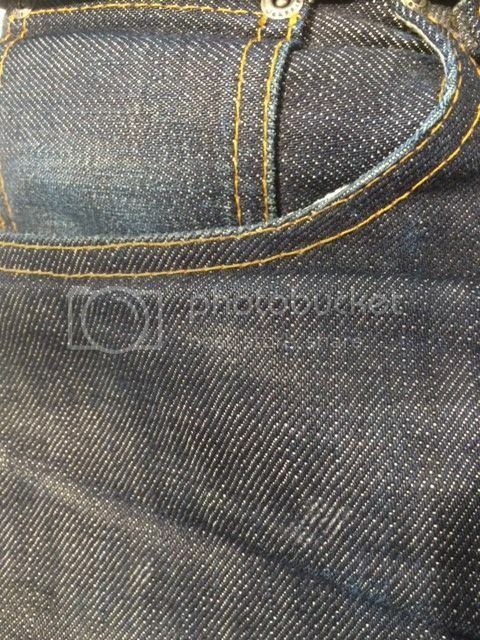 76/1000 and is my heaviest jeans ever, since I usually wear the regular 13.5 oz selvage denim from Nudie. 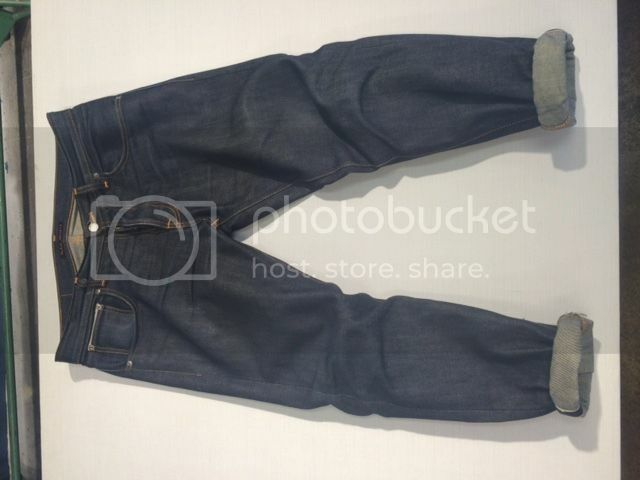 My plan is to wear them as I usuallt wear all my dry denim. 4 to 9 months before the first wash, and then I will wash every second month or less. Looking forward to showing you the results. Here is some before photos. I have worn them once though. 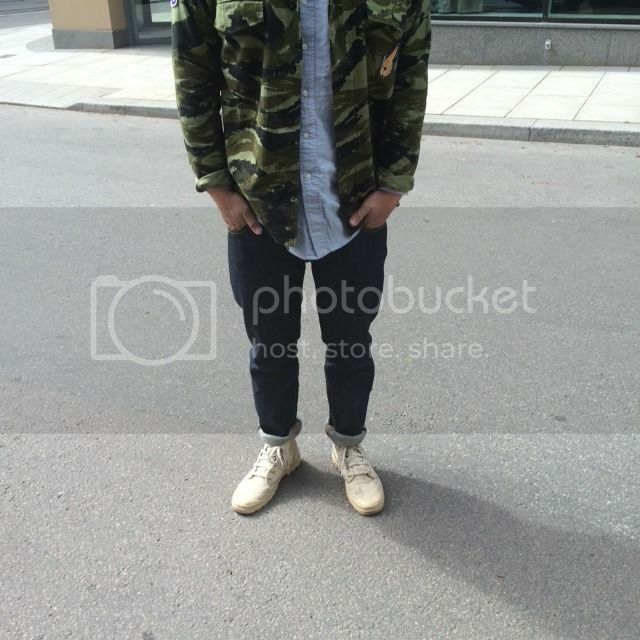 Here is some better fit pics. 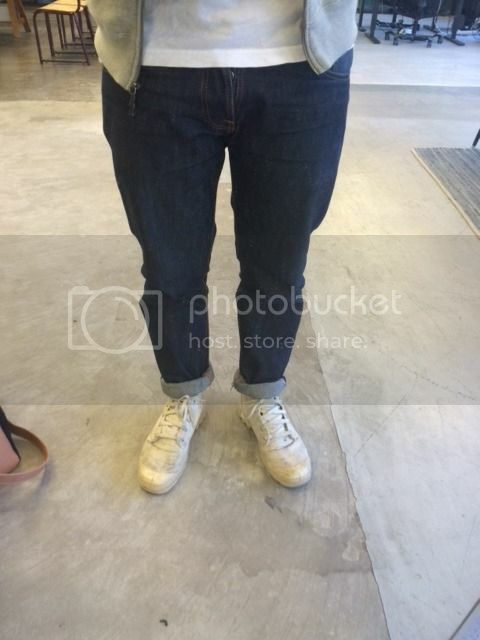 I love that the jeans are a little bit looser than what I usually wear, but still with quite a tapered leg. and I think it will affect the fading in a great way. I have quite short legs, so I am considering getting them hemmed, but I think Ill wait until after the first wash or soak. Hey Diderik , are those the heaviest oz that nudies make ? 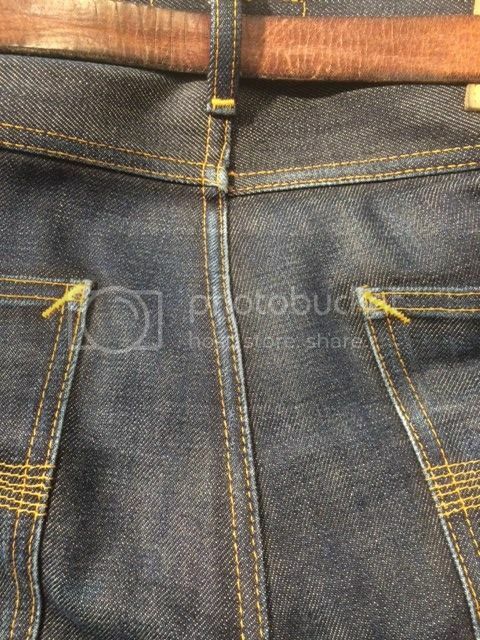 I was in the nudie store in Melbourne recently and thumbed over that particular denim , at least I think that’s what I was looking at , anyway I loved the orange stitching and the presentation box they were in just took them to another level of safistication . 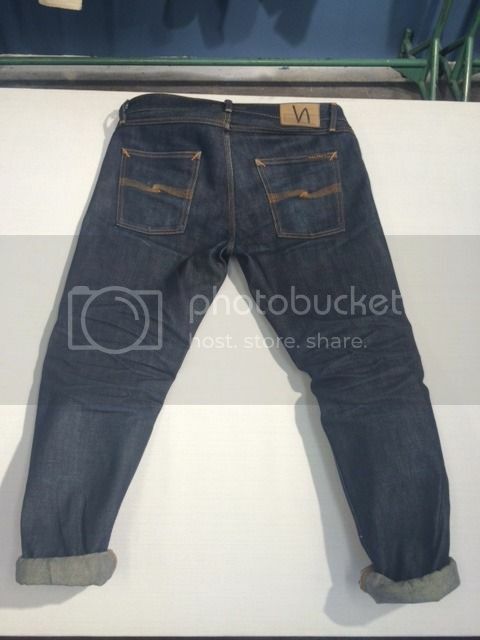 Yes, They are the 18oz version of the “regular” organic kaihara selvage that Nudie Jeans use in most of their selvage jeans. Yeah it probably was. They only made 1000 pairs, and that is actually quite a small production for Nudie. I also love that all the jeans are numbered, and you get a box, book and a “flag” with the jeans. 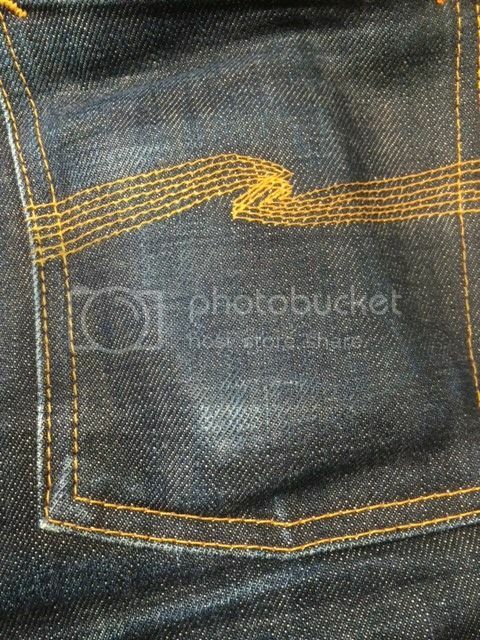 It builds up the experience of a pair of new jeans and for me as a big Nudie jeans fan it`s great. Long time since I`ve posted a update. so here is a small one. 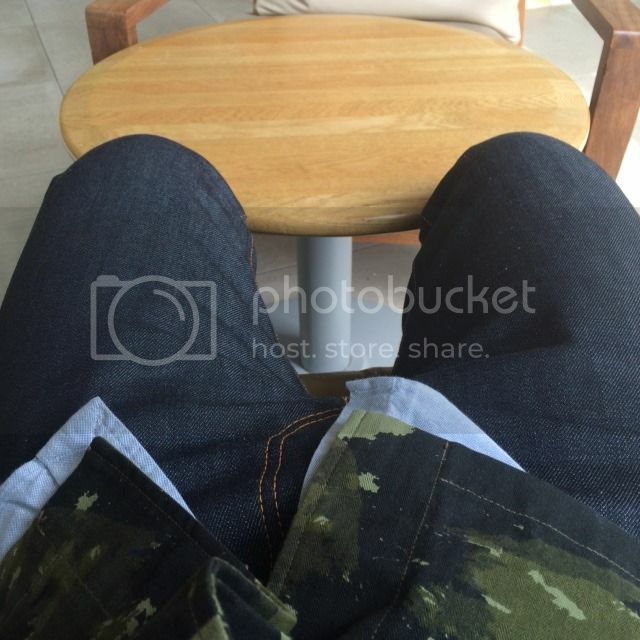 It´s part of the Breaking in my jeans challenge that Megatron posted. 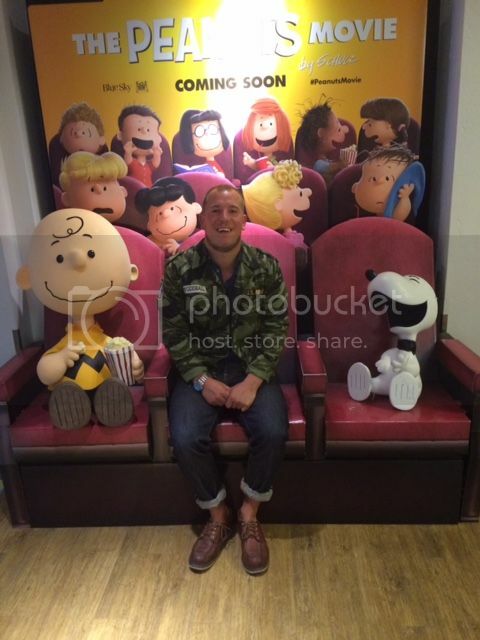 So here is a photo of me wearing my jeans at a marketing stunt for the new Peanuts movie. I was of course going to see the new Mission Impossible movie, since it is a lot more manly, but I think all my times at the cinema over the next to years will affect the break in process. I will post more photos of different things that I do in my jeans, but this is a start. Some fades are starting to show, mostly around the backpockets since I drive a lot in my job. 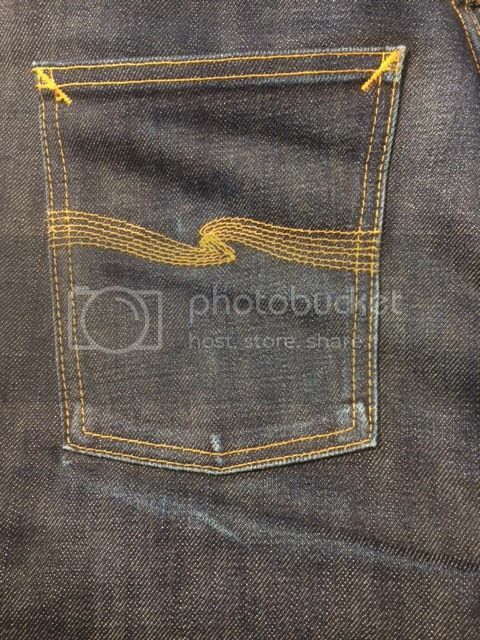 Here is Some more photos of the jeans. Still not that much fading. I wear them about 6-7 times a week, but these jeans are a tough nut to crack. Still no washes or soaks.